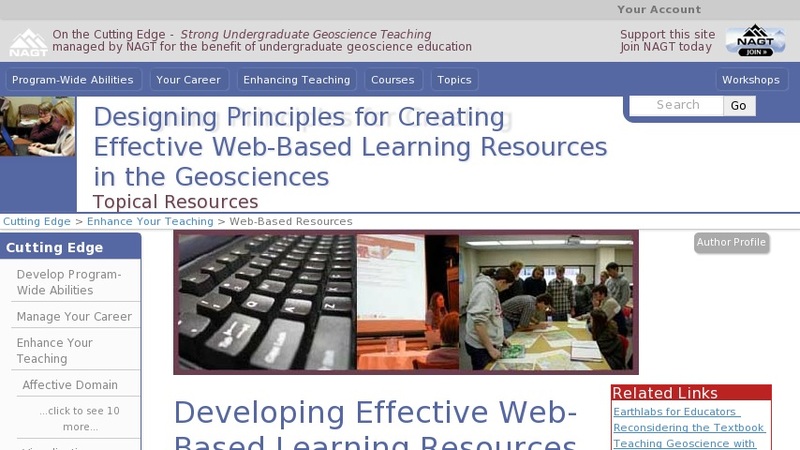 The following pages contain information, activities, references and links to help faculty creating on-line teaching materials in the Geosciences. This site addresses how to begin the process of putting resources on the web, how to design the educational content of those resources and how to design and build the actual resource. You are encouraged to add to the discussion of the web resources provided here. There are places throughout the site where users can leave feedback and answer questions. User comments will be incorporated into later versions of this web site and future On The Cutting Edge workshops.